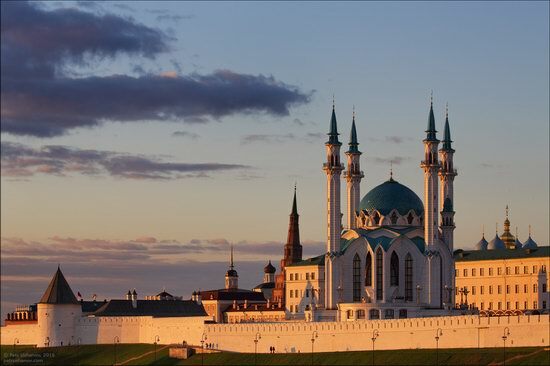 Kazan Kremlin is the oldest part of Kazan, a complex of architectural, historical and archaeological sites that reveal the long history of the city. 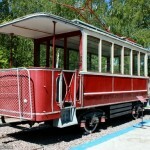 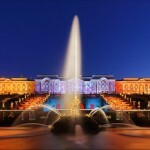 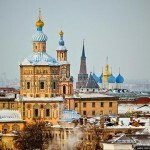 It is included in the list of UNESCO World Heritage Sites. 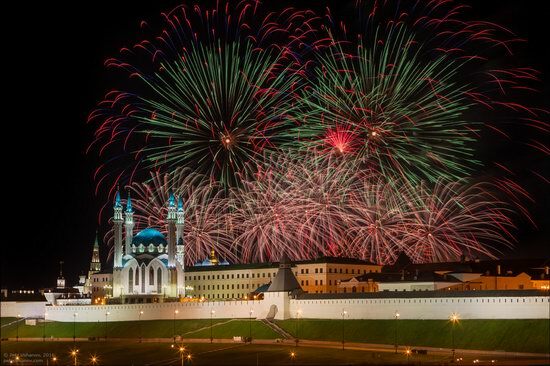 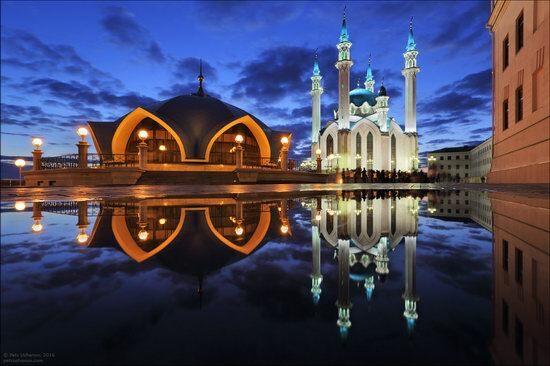 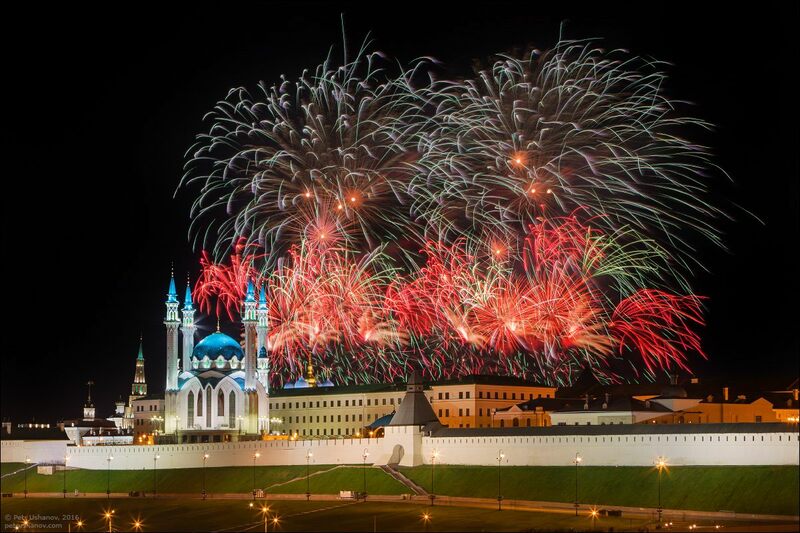 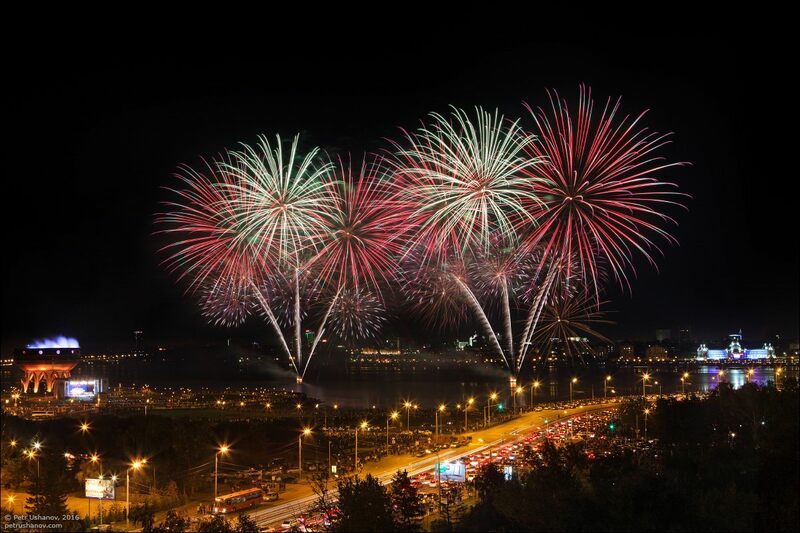 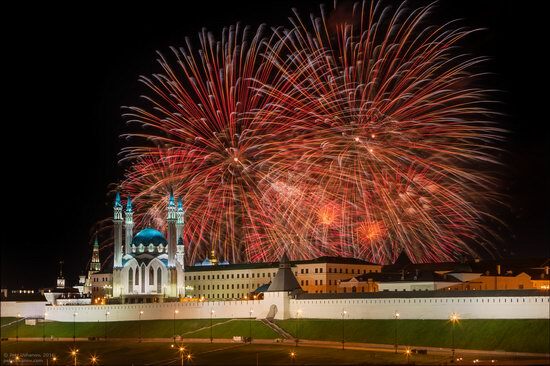 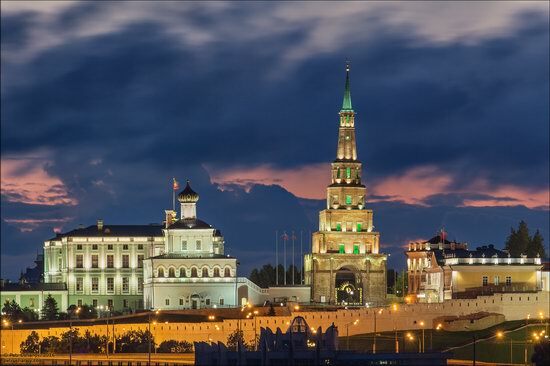 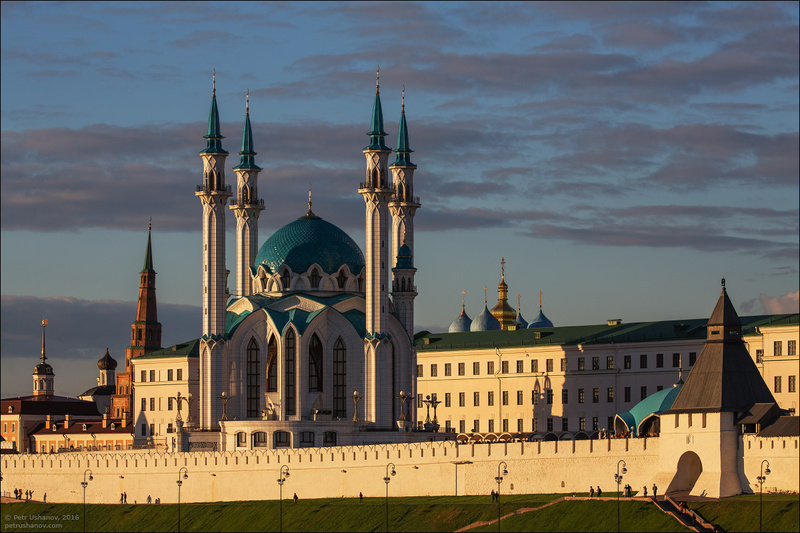 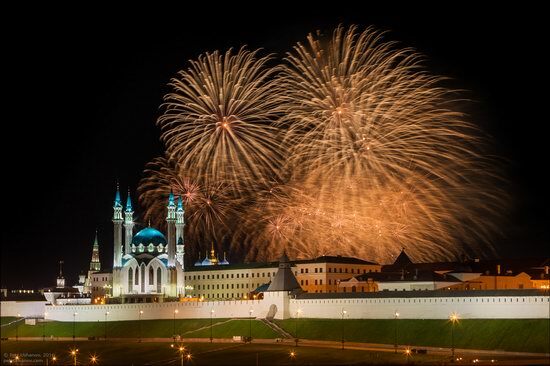 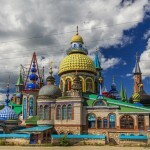 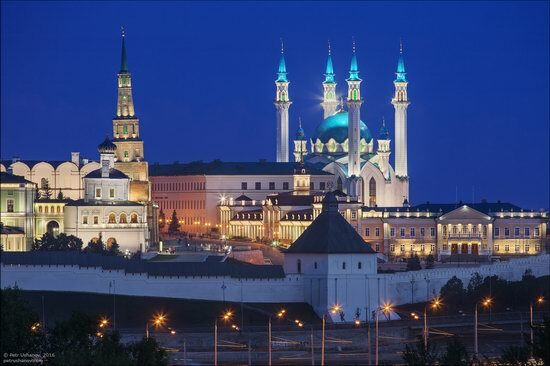 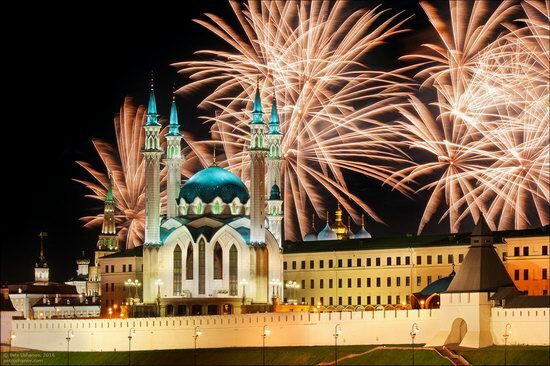 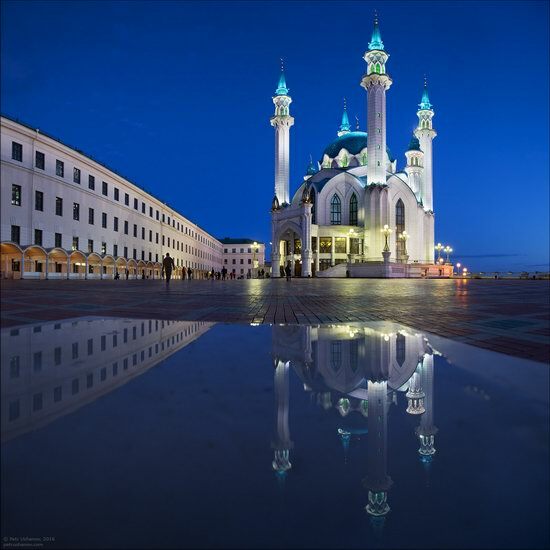 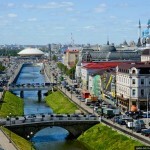 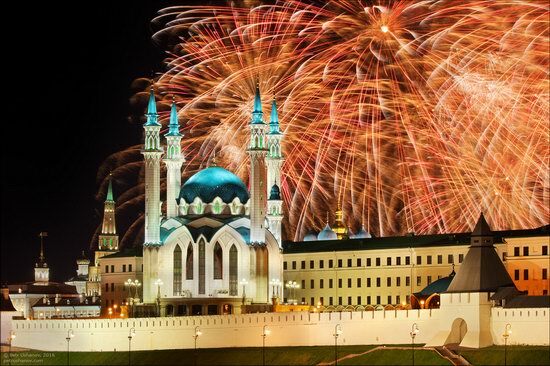 August 30 is the official day of the city of Kazan and Tatarstan Republic. Festive events in honor of this day usually end with colorful fireworks. 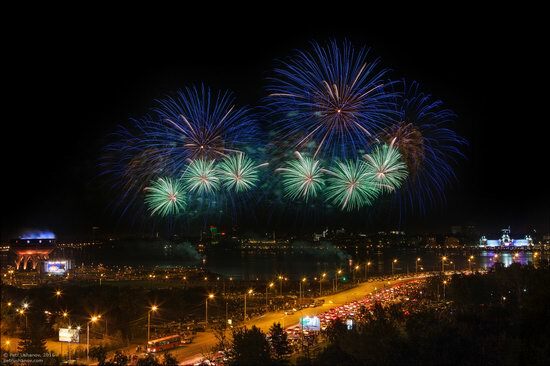 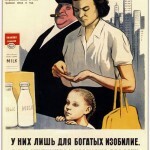 Photos by: Petr Ushanov. The main attractions of the Kremlin are Syuyumbike Tower (one of oldest buildings in the city and the architectural symbol of Kazan), Kul Sharif Mosque (the main juma mosque of the Republic of Tatarstan and Kazan), Cathedral of the Annunciation, built in the 16th century, and the Residence of the President of the Republic of Tatarstan.